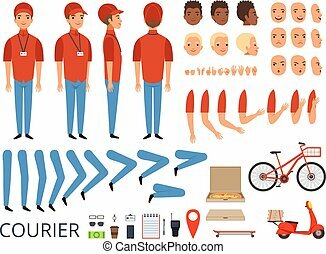 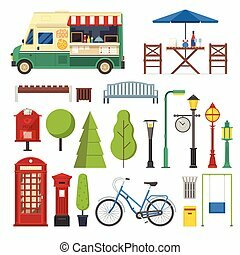 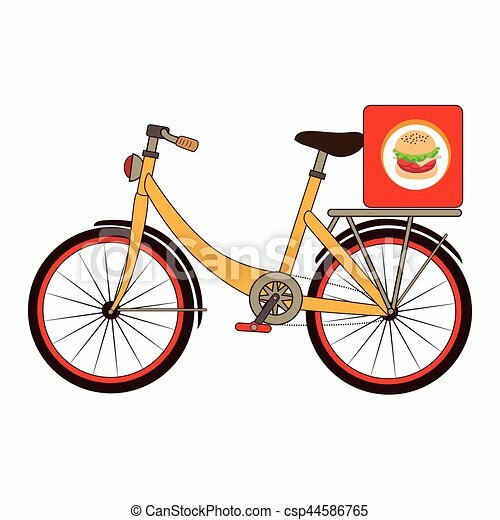 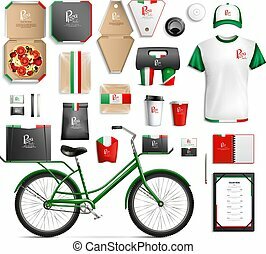 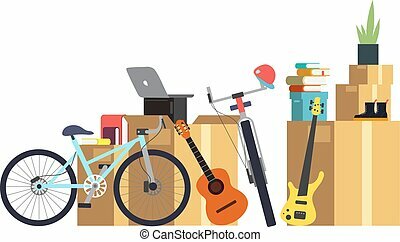 Colorful set with bicycle and box for fast food vector illustration. 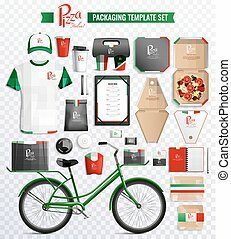 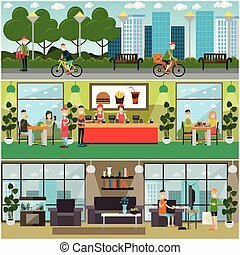 Vector set of fast food flat posters, banners with restaurant interior, professional staff and visitors, messengers delivering food by bike and by foot, people eating takeaway pizza at home. 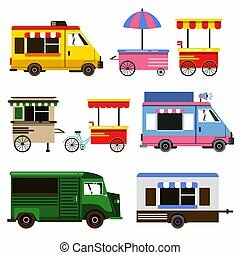 Food cart on white background for vehicle branding, corporate identity. 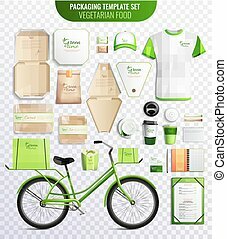 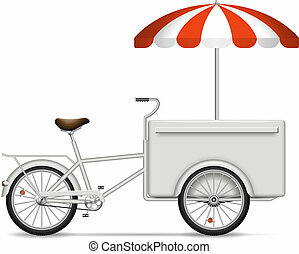 Isolated cargo bike vector illustration with side view.